Now updated with July dates, here's a list of important tax dates and deadlines for the coming months. 26th Annual Declaration packs (tax credit renewals) have been sent out, if you did not receive yours contact the tax credit helpline on 0345 300 3900. 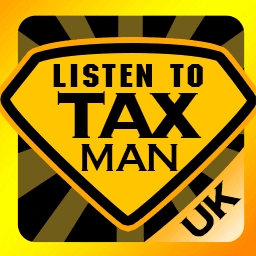 19th (21st if paid electronically) -PAYE, Nat Ins, Student Loan & CIS monthly deductions due. 31st Annual Declaration (renewal of tax credits). You must return your Tax Credit pack forms to HMRC by this date. 31st Last day to pay any tax owing on 2015/16 Self Assessment before 1st August(when it is 6 months late) = £300 fine or 5% of the tax owing, which ever is greater. 5th Last date to agree PAYE settlements with HMRC for 2016/17 if any owing. 6th Employers must return form 42 (share incentives) and any new tax credits they qualify for by this date. 6th Forms 9D, 11D and 11D(b) to do with employees benefits and expenses, to be returned by this date and a copy given to each employee. 19th (22nd if paid electronically) Class 1A Nat. Ins for 2016/17 (form 11D returned by 6th of this month- employees benefits) due to be paid. 19th, (22nd if paid electronically) 2nd quarter PAYE/Nat. Ins. payments due for period 6th April to 5th July 2017. This article was published in our Tax Calendar section on 01/06/2017.